1. CHRISTIANS: Belief in God the Father, God the Son and God the Spirit, three persons in one God (doctrine of the Trinity). 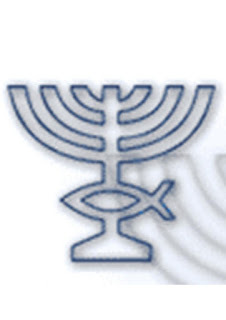 NAZARENE MESSIANIC JUDAISM: We have the father, YHWH, as the only Elohim and the center of worship (Dt 6:4-9). We do not believe in the Trinity. 2. CHRISTIANS: They seemed sure not be under the law but under the grace. The New Testament is the Authority‘s conduct and life as the New Covenant. The salvation is by grace through faith alone. NAZARENE MESSIANIC JUDAISM: We believe that we are under grace, making it easy to understand and apply the law of Elohim in the Tanack and salvation is by grace through faith in Yeshua. We recognize that Orthodox Jews are judged by the law of Elohim unless, at the end of times, they come into the light of Yeshua. 3.CHRISTIANS: They believe in Jesus and his deity. NAZARENE MESSIANIC JUDAISM: Yeshua is the Messiah of Israel promised in the Tanack, descendant of David, through his father biological Yosef. The divine nature is, because it comes from the father, He was in front of the Father and saw Him, resurrected and in He lives all the fullness of deity (Colossians 2:9). We believe that Yeshua has a special divinity to be high priest and author through YHWH’s eternal salvation for which beliefs in the Hebrews 5:9-10 reads “ and having been perfected, became the author of eternal salvation to all who obey him and was declared by Elohim high priest after the order of Melchizedek“. 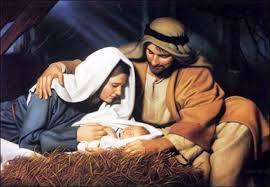 4.CHRISTIANS: They believe the virgin birth. 5.CHRISTIANS: They believe in Sunday as the day of the Lord, the day in that Jesus resurrected from the dead. NAZARENE MESSIANIC JUDAISM: We remember Exodus 20:8 “Remember the day Sabbath to keep Holy it.” Exodus 20:9-11. 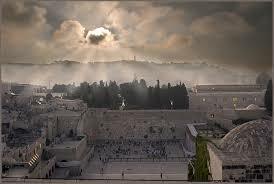 “Six days you labor, and shall do all your work, but the seventh day is a Sabbath of YHWH your Elohim. You do not do any work – you, nor your son, nor your daughter, nor your male servant, nor your female servant, nor your cattle, nor your stranger who is within your gates. Therefore YHWH (יהוה) blessed the Sabbath day and set it apart”. 6.CHRISTIANS: All Jewish festivals were surpassed by the sacrifice of Jesus Christ. The Christian Church is not obliged to keep Jewish holidays which passed along with Acts of the Apostles. NAZARENE MESSIANIC JUDAISM: We celebrate all the Leviticus 23 festivities, especially the three large annual Festivities of Elohim: Pesaj, Shavuot, and Sukkot, and the weekly gathering of Shabbat / Saturday, all scriptural, not “for the Jewish“, but for all “followers of YHWH“. 7.CHRISTIANS: They use the words: “Jesus”, “Christ”, “John”, “New Testament”, “Old Testament”, “Paul”, “Palestine”, “cross”, “church”, “converted”, “Christian”. 8.CHRISTIANS: The Christian Church recognizes baptism and the supper of the Lord as ordinances left by Jesus Christ to his Church. NAZARENE MESSIANIC JUDAISM: We do not believe in any “Holy supper” out of Passover, and this is only once a year. 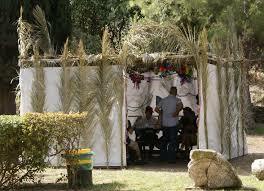 We practice every Shabbat Kiddush take: take unleavened bread and wine kosher. To the purpose of “baptism”, in Judaism, the mikveh, the bath ritual exists from 4,000 years ago and physically, there are no difference between it and the immersion in water instituted by the Rabbi Yeshua except by a single difference: the immersion in water is made a single time for salvation proof, for death of our ego and to have the life of Yeshua Ha Mashiach in us. The mikveh is done periodically. 9.CHRISTIANS: Christianity believes that what the Nazarene Judaism is doing is “Judaizing” and “go back to Judaism“. 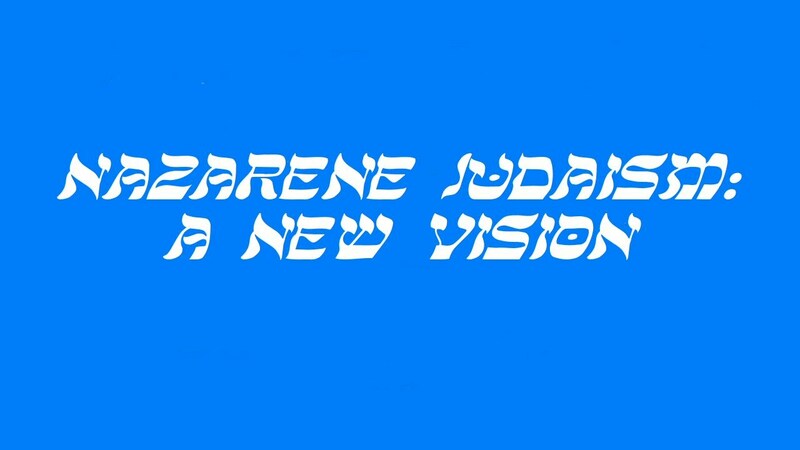 NAZARENE MESSIANIC JUDAISM: We are restoring what it was stolen, the translations, the true religion of the Rabbi Yeshua, its context cultural, idiomatic and theological. 10.CHRISTIANS: They believe that the new Covenant has been instituted. NAZARENE MESSIANIC JUDAISM: We affirm that still have not been given the New Covenant described in Jeremiah 31:31-34 and named in Hebrews 8, Yeshua brought renovation of the Covenant of Moses with different priestly laws. Hebrews 8:8-13 “For finding fault with them, He says, “See, the days are coming,” says YHWH, “when I shall conclude with the house of Yisraʼĕl and with the house of Yehuḏah a renewed covenant, not according to the covenant that I made with their fathers in the day when I took them by the hand to lead them out of the land of Mitsrayim, because they did not continue in My covenant, and I disregarded them,” says YHWH. “Because this is the covenant that I shall make with the house of Yisraĕl after those days, says יהוה, giving My laws in their mind, and I shall write them on their hearts, and I shall be their Elohim, and they shall be My people. And they shall by no means teach each one his neighbor, and each one his brother, saying, ‘Know YHWH,ʼ because they all shall know Me, from the least of them to the greatest of them. Because I shall forgive their unrighteousness, and their sins and their lawlessnesses I shall no longer remember. By saying, ‘renewed,ʼ He has made the first old. Now, what becomes old and growing aged is near disappearing“. 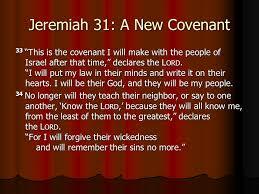 None of this has happened, because the “New Covenant” is something that will happen when Yeshua returns to the world. In the meantime, we have the Nazarene Scriptures about the story of the true Messiah of Israel: Yeshua. Thousand blessings and shalom to all. 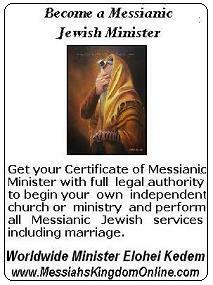 ¿Do you want to become an Ordained Messianic Rabbi? Betty, thanks for your commentary. We will like to know what information do you want to here more? Please write to us. S halom. Joseph, is there any way I could reach out to you? I would like to know more about your thoughts. Please may we, for the righteousness to several other Christians, let you and your readers know that not all Christians “: Believe in God the Father, God the Sun and God the Spirit, three persons in one God (doctrine of the Trinity).” like you write in the 1st paragraph. True followers of Christ Jesus (Jeshua) worship the same God as Jeshua, who is only One True Eternal Spirit God. The Bible is very clear that it is only the God of Abraham, Isaac and Jacob, Whom we should worship. That God is an eternal Spirit Who has no birth and no death and Who can not be tempted, all things Jesus had. Real Christians do not accept the Trinity. It is true that we as Christians believe in Jesus and his deity, this being that Jesus (Jeshua) is the sent one from God, a prophet, a master teacher (rebbe) who got authorised by the Divine Creator God to speak and act in His Name. Real Christians do believe that Jesus is the Messiah or the Kristos (Christ), the long awaited saviour, who offered himself as a Lamb of God. May we remind you and your readers that there are lots of Christians who do not worship a Trinity but worship only One True God, the God of Abraham. There is only one unforgivable sin and that is to deny the Holy Spirit ! The Holy Spirit blessing (gifts) are acquired through baptism ! YHWH is God the Father who is the one deserviving of praise and worship ! Yeshua is the son of YHWH who was sent for our salvation ! The Tora is still to be followed ! YHWH times and feast’s (Saturday sabbaths new moon sabbaths and high holy sabbaths) are to be followed ! The baptism of the Father the Son and Holy Spirit is taken out of context, they are separate beings but they are one in purpose (YHWH will) so much is taken out of context in the word that most doctrine are misleading and there is to much to list ! There is another trinity as well and that one is the devil the anti christ and false profit ! The seal of YHWH has everything to do with Saturday Sabbath ! As the seal of the devil has everything to do with Sunday Sabbath ! The tree of life or the tree of death your choice. Test all things and hold fast that which is good 1Thessalonians 5:21 ! Salvation is keeping God the Fathers laws (Tora) and believing that Yeshua is the messiah and Baptism In the Holy Spirit ! Was this purposeful? Is it a reference to the corruption of the faith through Sun God worship in it several forms? Constantinople, Sunday Worship, Madonna/Child, New Feasts such as Christmas, Easter etc….. ? Apparently Luke simply did not feel he needed to be redundant. Trinity – Yeah, I am not buying that yet either. However, I do leave room that I may be wrong & if G_D so deems it necessary for salvation then I ask that HE direct me accordingly & not allow me to lead others hopelessly astray of it. Feast & such – Y’shua was / is The Word a.k.a. The Torah, made flesh. He lived The Torah to fulfillment without one violation of it. 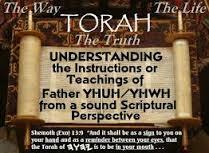 Therefore “In & Through” Him is The Torah completed. I, you & everyone else who then accepts Him as the Messiah, is no longer “Required” to Keep the festivals but may “CHOOSE” to do so. Whether I choose to or not is up to me but I can not force others to do so in order for them to be Children of G_D, as works are not “Required” anymore but “FOLLOW” G_D’s Children (Believers). 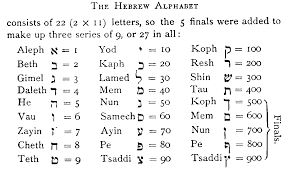 FYI: These works are not specified as keeping Torah either. 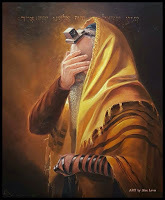 5 For when we were living according to our old nature, the passions connected with sins worked through the Torah in our various parts, with the result that we bore fruit for death. 6 But now we have been released from this aspect of the Torah, because we have died to that which had us in its clutches, so that we are serving in the new way provided by the Spirit and not in the old way of outwardly following the letter of the law. 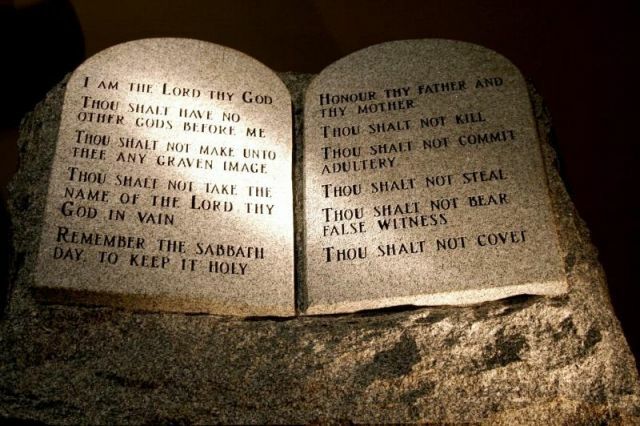 [Rom 7:5-6 KJV] 5 For when we were in the flesh, the motions of sins, which were by the law, did work in our members to bring forth fruit unto death. Enough! As I stated, I have differences but nothing upsetting. I hope to discuss thing further into the future?